This Saturday I'll be market girl at Hamilton (Brisbane) in my big blue tent selling my wares and chatting to anyone who'll listen. It's such great fun being a market lass, making stuff that I love and then selling it to people who appreciate it really puts a smile on my dial. I get to meet some great peeps at the markets, odd ones, funny ones, offended ones! But all in all it's usually great day out for everyone involved. I'm especially lucky to be a part of BrisStyle - an amazing team who are passionate about local, handmade. We're claiming back the suburban consumers one softie doll at a time! 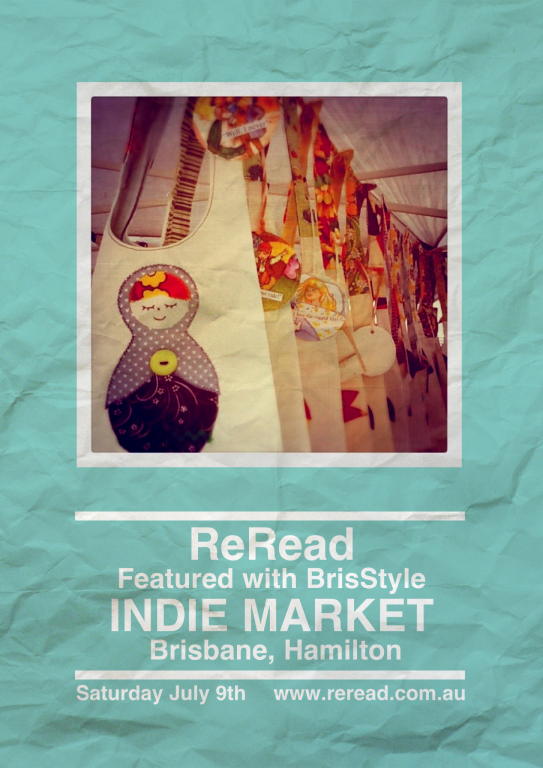 The BrisStyle indie Designer Markets are on this Saturday, July 9th in Hamilton - Racecourse Road from 9am until 2pm.